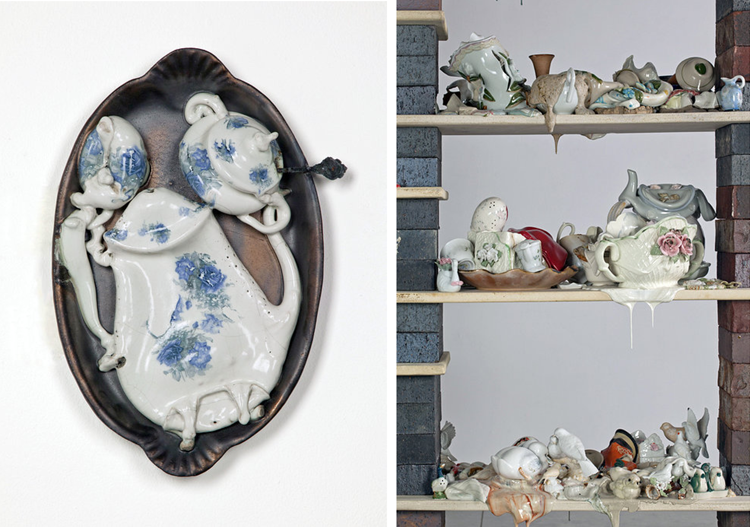 Using traditional ceramic firing processes, American artist Emily Sudd transforms collectible kitsch ceramic objects and functional ware into fine art sculptures - here from the series Intrusions, Protrusions and Disown. 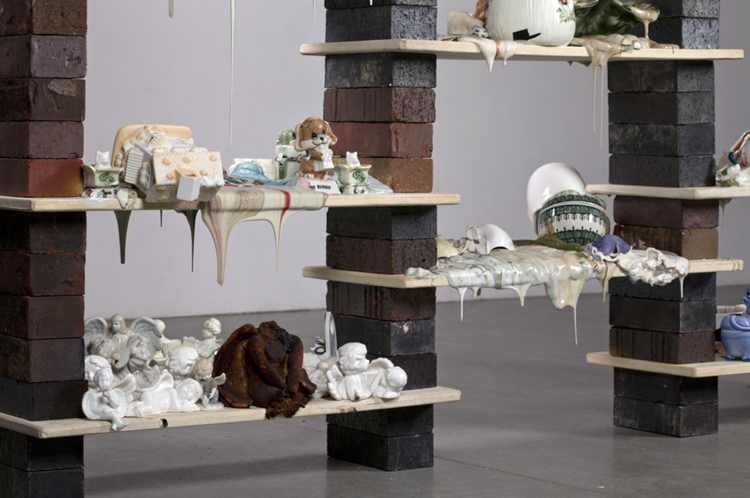 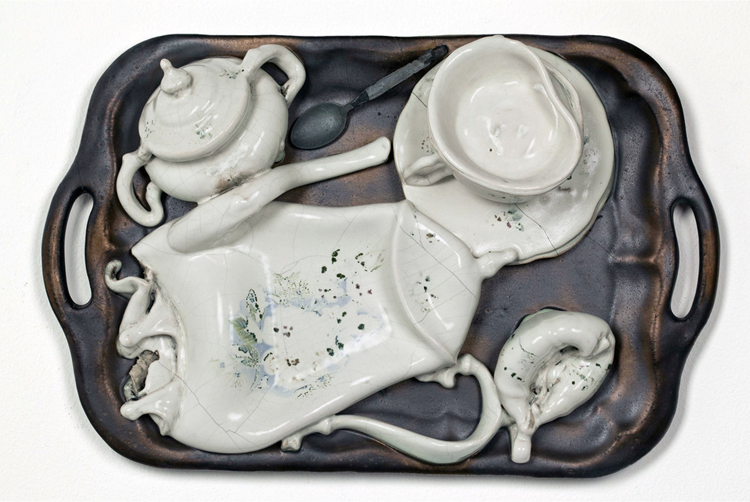 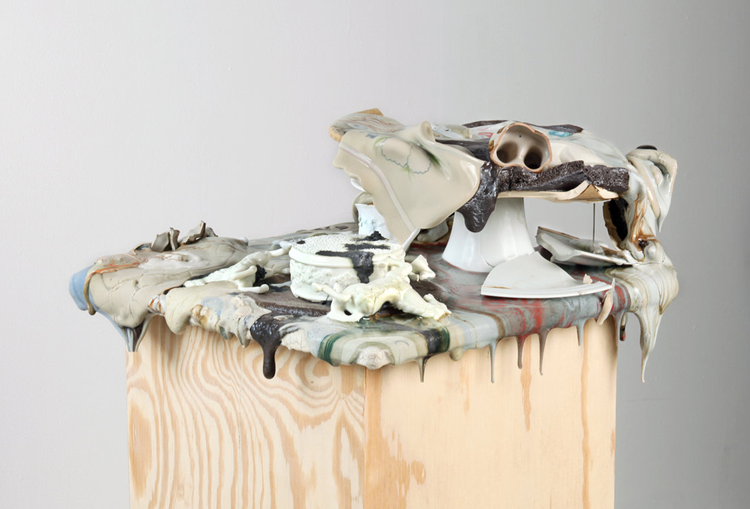 After collecting and arranging the various items, she subjects all of the objects to the same firing conditions, resulting in unpredictable and surprising results. 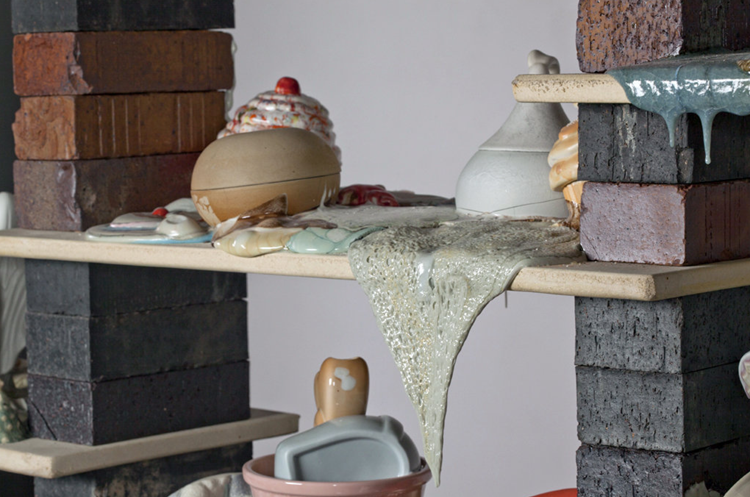 In the firing, some objects retain their form, while others melt down into fluid clay and glaze. 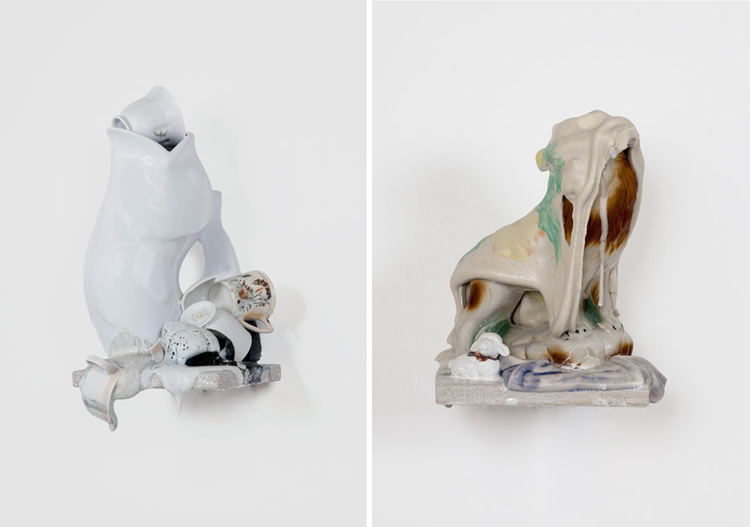 My favorite is the first one with the melted coffee pot in the tray – but hey, the lion with some indefinable thing melted over its head is pretty great too. 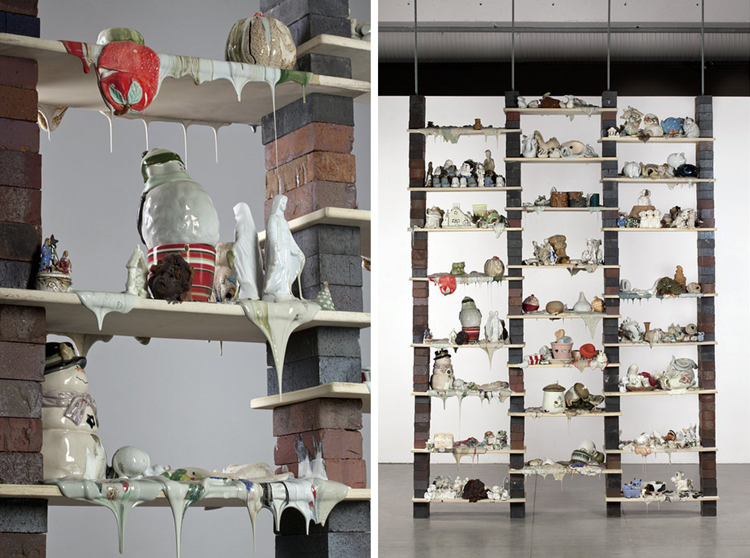 Not to mention what's going on at some of the shelves – fantastic work! 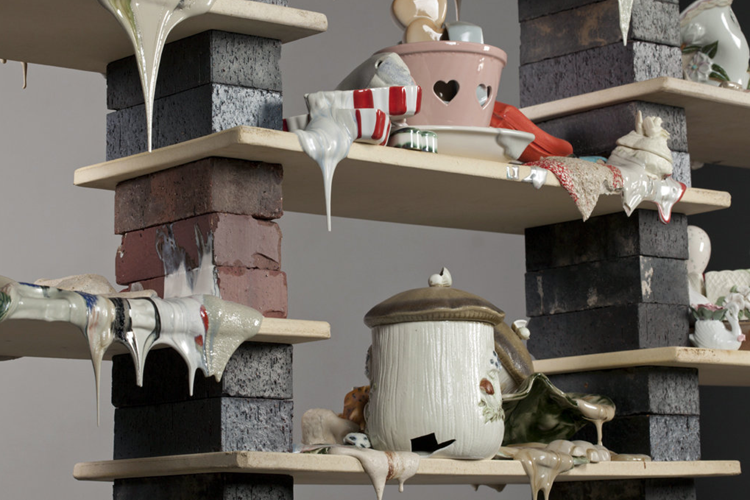 Via Lustik.